Many people ask me why I wrote my book, Sitting on Cold Porcelain. It actually got placed on my “to do” list when my children were growing up in Philadelphia, PA. 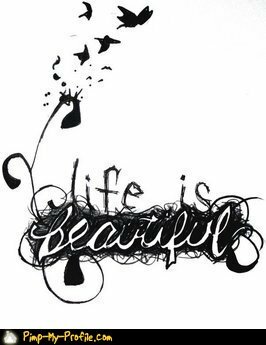 I was inspired by humor writer’s like Erma Bombeck. In Aunt Erma’s Cope Book, Erma pointed out the fact that TV and children dominated our buying habits and that the kids could actually hum beer commercials before their eyes could really focus. So, this was my first clue that motherhood was going to be a challenge. In addition to Bombeck, I was inspired by comedian Alan King, who wrote Help I’m a Prisoner in a Chinese Bakery and Anyone Who Owns Their Own Home Deserves it. At the time I was reading those books, my husband and I were in the process of buying a single fixer-upper in Northeast Philadelphia. I got a kick out of Alan’s witty lines about home repairs after we moved into the house. I had just wasted most of our budget on molding trying to get a 45-degree angle and didn’t even know what a coping saw was. I was trying to match the angles on a ceiling to no avail and my husband was learning the hard way why a chalk line is necessary to lay tiles. A neighbor, who was a policeman moonlighting as a contractor came over to see how we were doing. After he finished laughing, he showed us how to proceed. I realized I had enough first-hand funny material to tackle the publishing industry for 100 years. I was considering writing a humor book titled You’ll Go Blind Without Chalk Lines. I researched the mechanics of writing a book and was advised by a professional writer to get a job with a local newspaper or publisher, to hone my writing skills. I found out that creative writing paid next to squat, so I took an entry-level position as a technical writer for a major publisher. However, as usual, funny things would happen on the job and I would entertain friends and co-workers with stories and anecdotes, including satirizing the boss. I couldn’t get humor writing out of my system and people still kept pressuring me to write a book of humorous essays. Then my grandchildren came along, and even more hilarious things would happen; like the time my oldest daughter, who got married and gave birth to three boys, finally had a girl. We brought her home from the hospital and the boys watched while I changed her diaper, they went ballistic saying that she was defective and had missing parts. They were terrorized and went running after their father asking if he could take her back to the hospital and get her repaired. The blog became popular and I finally decided to write my book. I needed a title, so I asked myself: What is the best example of Murphy’s Law in a woman’s life, a pithy phrase, and a situation that affects practically everyone? – “Aha! Sitting on Cold Porcelain!” You’ve done that at 3:00 am, right? You have to read the Introduction to my book; it explains that idea in detail. My intent with Sitting on Cold Porcelain is to entertain you. I hope you laugh out loud reading it and whenever you find yourself in real life situations that are not funny at the time, and you can’t really fix itl, you can think about Sitting on Cold Porcelain and have a good laugh! You can purchase a copy of my book at Amazon, including The Kindle Store; Barnes and Noble online; Better World Books; your local book store’s order desk; and Rosie’s Renegade Humor Blog. It’s been a long time coming and has been getting 5-star reviews. 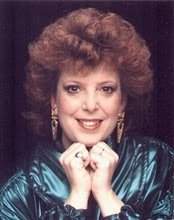 Rose A. Valenta is a nationally syndicated humor columnist. Her irreverent columns have been published in Senior Wire, Associated Content, Courier Post Online, NPR, Newsday, USA TODAY, the WSJ Online, and many other local news and radio websites. She is the author of Rosie’s Renegade Humor Blog. This is the blog for people who would be knowledgeable about current events and politics if only politicians and news anchors didn’t stretch the truth. “What else is there to do, but share an honest laugh?” Rose said. Rose regularly attends the Erma Bombeck Writers’ Workshop at the University of Dayton, is a member of the Robert Benchley Society and the National Society of Newspaper Columnists (NSNC). Rose worked for a subsidiary of McGraw-Hill, Datapro Information Services, for 12 years as a technical staff writer, and also wrote freelance articles for other computer industry publications. She claims that her Italian heritage stunted her growth. She is English on her Father’s side and believes that in a past life, during medieval times, she was probably a trusted member of the Counsel of the Jesters. 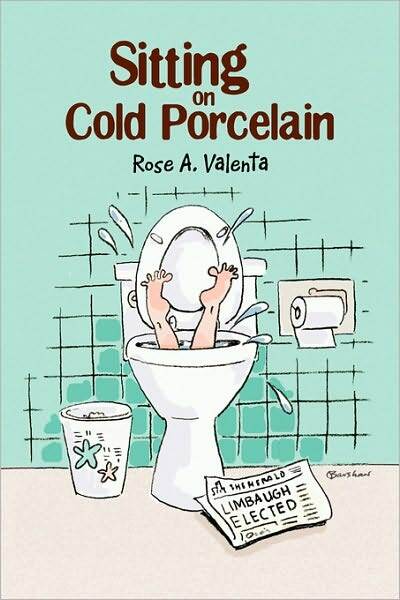 Her latest book is Sitting on Cold Porcelain which you can find out more about at her website at www.rosevalenta.com. Thank you for the opportunity to post a column here at The Story Behind the Book and for participating in my virtual book tour.